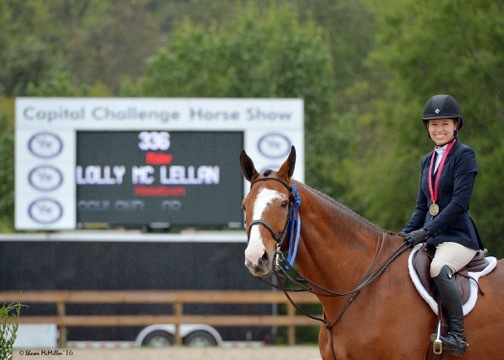 It doesn’t take long into a conversation with Lolly McLellan before one is struck by the young rider’s poise and determination — traits that are also evident every time the 17-year-old steps foot in the show ring. That same composure and resolve are also what have landed the Oregon native where she is today: on the East Coast, winning at the Capital Challenge Horse Show and competing at the nation’s most prestigious equitation finals. Lolly and her 17-year-old Warmblood gelding, Rockford, traveled from Ashland, Oregon, to win the Capital Challenge 16-Year-Old Equitation Championship, before also finishing fourth in the North American Junior Equitation Championships. Her top-five finish in the first major equitation final of the indoor season also put Lolly one step closer to her goal of making the second round of each of the equitation finals in which she’s competing this fall. That goal is one that, for any rider, requires a great deal of hard work, talent and commitment, and for Lolly it also perhaps requires a few thousand extra air miles and several additional nights spent in hotels and on the road. In an effort to give the equitation finals her best shot, Lolly now balances living on the West Coast with competing and training on the East Coast with Stacia Madden and Max Amaya. 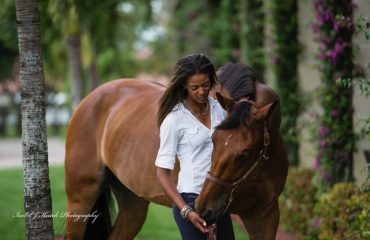 With that in mind, Lolly’s West Coast trainer, Wendy Krohn, placed a call to Max and Stacia, and Lolly began training with them at the 2016 Winter Equestrian Festival (WEF) in Florida. Lolly finished fourth in the North American Junior Equitation Championships and was named the 16-Year-Old Equitation Division Champion. Lolly and Rockford then spent the summer back at home in Oregon training with Wendy out of her Westport Stables, where Lolly has trained for years. Being on the road for the majority of the year has meant some sacrifices for Lolly, who, like so many young riders competing on the horse show circuit today, is foregoing a more traditional high school experience in favor of online schooling. 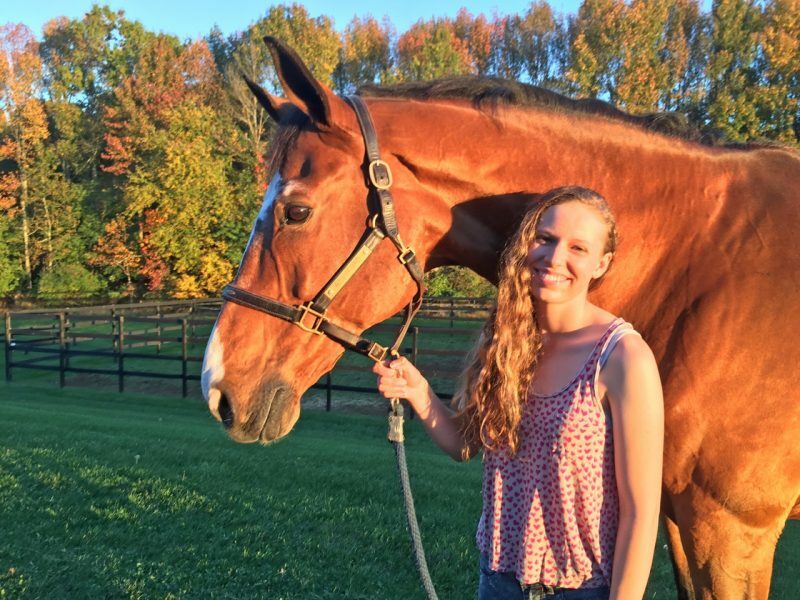 However, Lolly is also quick to acknowledge that any sacrifices are far outweighed by the benefits and the incredible opportunity to actively pursue the sport that she loves, with a horse that she loves just as much. 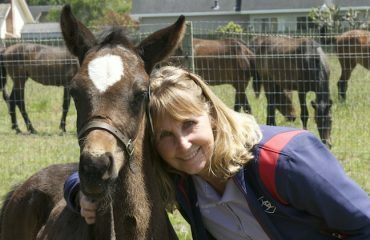 Lolly acquired Rockford in California three years ago with Wendy’s guidance, and now Lolly can’t imagine traveling the horse show circuit with any other horse. 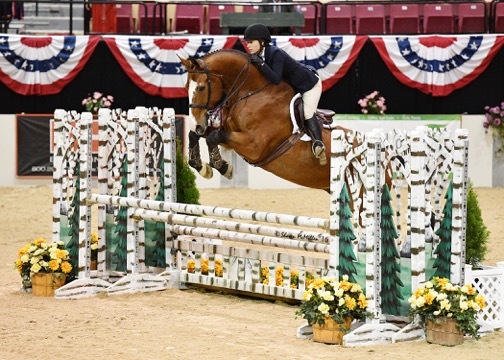 The pair’s success at this year’s Capital Challenge Horse Show marked the two West Coast natives’ first visit to the Prince George’s Equestrian Center in Upper Marlboro, Maryland, but after their accomplishments and highly enjoyable experience, it likely won’t be their last. Capital Challenge proved to be just that for Lolly, as fresh off their Capital Challenge success, Lolly and Rockford made the second round of the Pessoa/U.S. Hunter Seat Medal Finals at the Pennsylvania National Horse Show. With 277 horses and riders competing in the first round and only the top 25 returning for the second round, Lolly’s accomplishment of her goal is particularly impressive. After competing in the ASPCA Maclay Horsemanship Championships, Lolly will return home to Oregon and begin the traveling cycle all over again for her final junior year — a cycle the talented young rider wouldn’t trade for anything. The 2017 Capital Challenge Horse Show returns as the home of the nation’s best horses and riders on September 30–October 8. 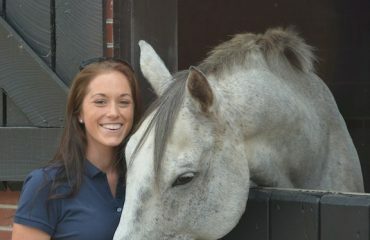 For more information on the Capital Challenge Horse Show, visit www.capitalchallenge.org.